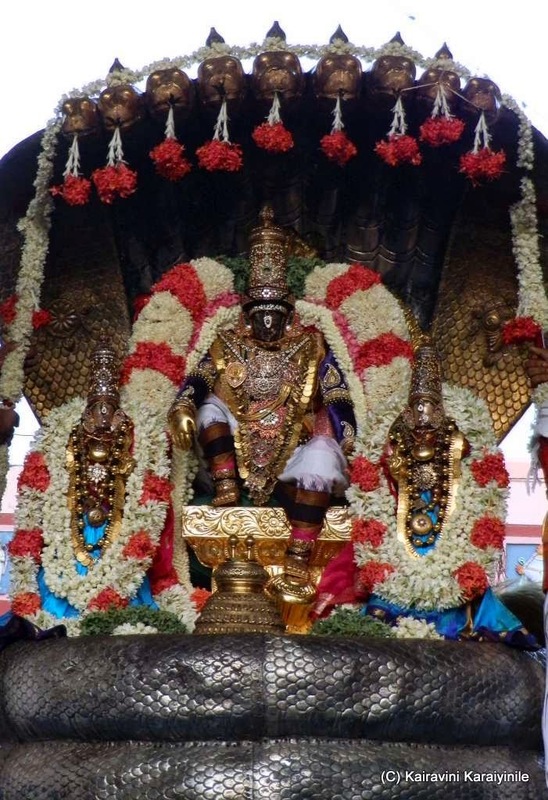 Today, 16th April 2014 – is day 2 of Brahmothsavam of Sri Parthasarathi at Thiruvallikkeni divyadesam. 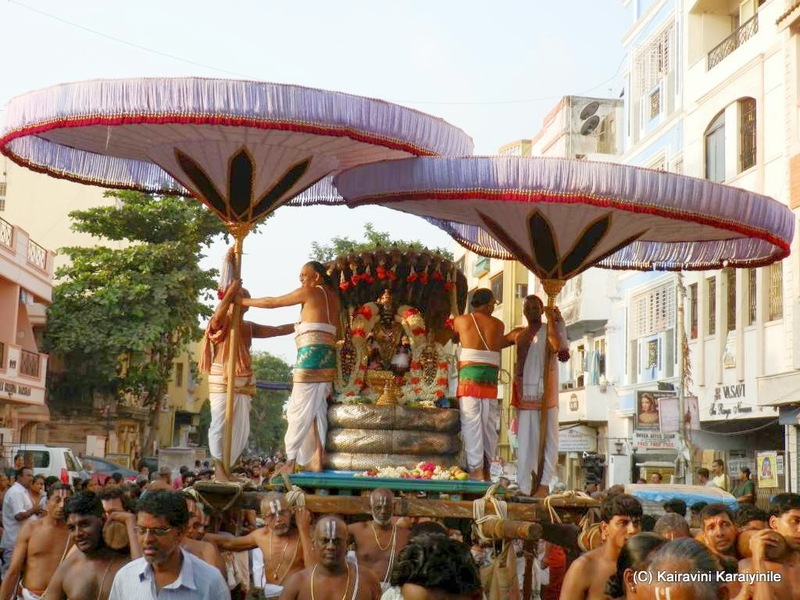 Thismorning, it was ‘Sesha Vahanam’….. Boothathazhwar’s Irandam Thiruvanthathi was rendered by the goshti. அணையாம், திருமாற்கரவு. 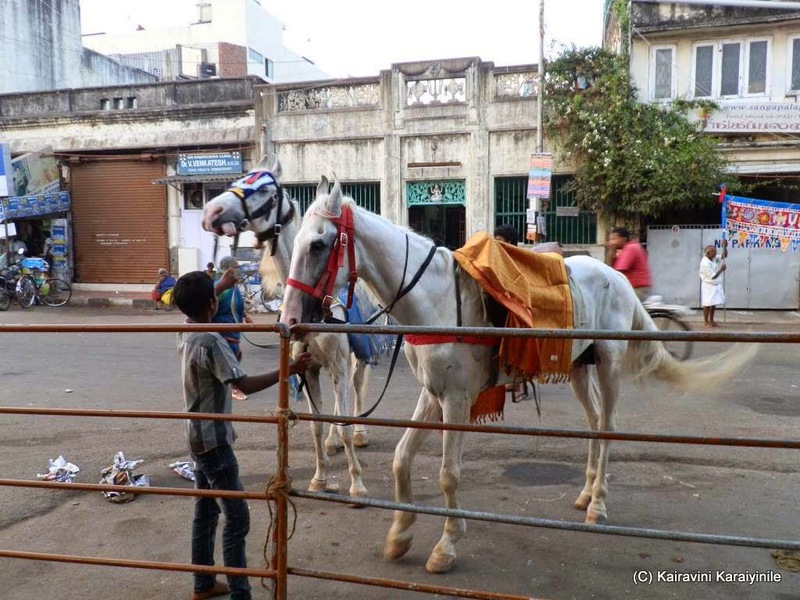 – Muthal Thiruvanthathi, Poigai Azhwaar. Of those who render service to Maha Vishnu, Ananthan – the Adi Sesha serves Him in the best possible manner that one could visualize. 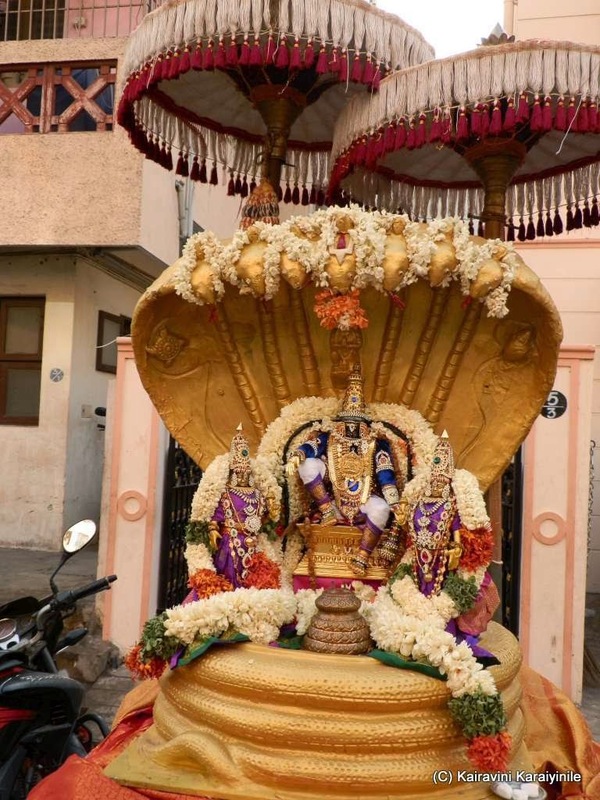 When Thirumal is moving, Thiruvananthazhwaan hoods him like a parasol, when God sits, Seshan is settee – the seat of comfort; when Lord stands, the snake serves Him as footwear ; in the Thiruparkadal where Lord reclines to take rest, he becomes the silken bed – he gleams with light and provides handrest too. 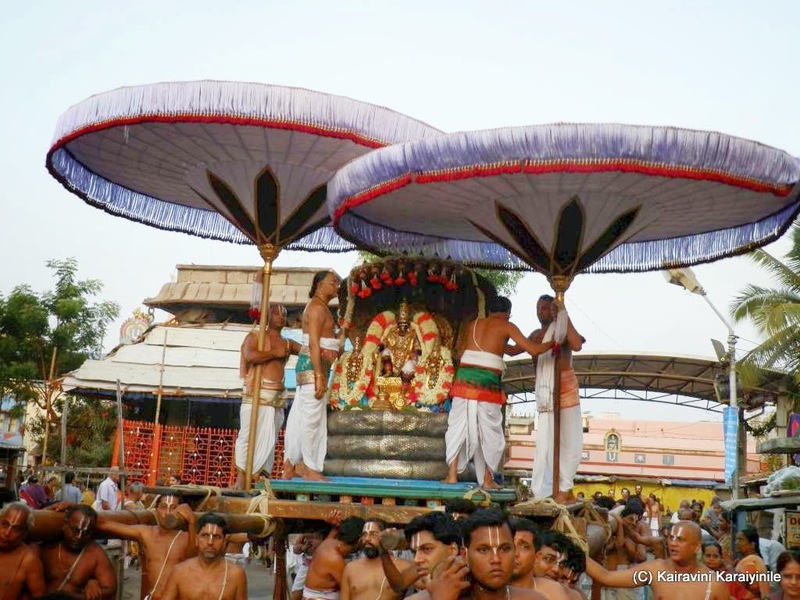 The serpentine Ananthazhwaan is ever at the service of the Lord in every possible manner.